Learning Dark Arts: November, 2012. I have had trouble with DazStudio for a while. I have detailed parts of it here. Today I have to tell you about my difficulties getting Daz to render. 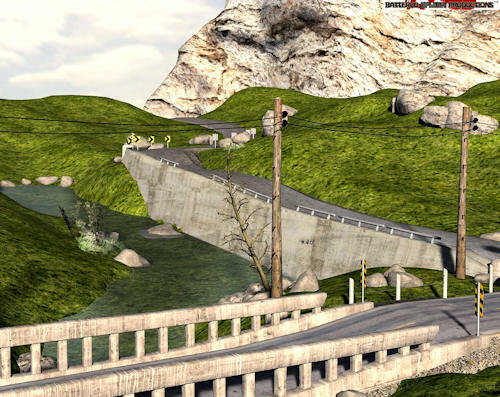 There have been a lot of crashes near the end of rendering a scene. Some scenes crash every single time. It's very disheartening to have your work unrenderable, especially when there seems to be no reason for it. Sometimes similar scenes render, other times significantly more complicated scenes render without such difficulty. The usual answer as to why this happens is because of memory or lack of memory to process with. However, when resources are monitored and prove to be readily available, and there is still an issue, then obviously something else is at play. I'm posting today to tell you how to rescue and render some of these scenes. There isn't always a straight answer as to why crashes occur, but I have one solution. Don't render these trouble scenes with Daz. Don't go out and buy a different program like Poser (unless you really want). Don't blame 3Delight for being faulty just yet. What you need is an external 3Delight render engine. There is a Daz forum post about this you need as a starting point. I have some additional comments to help you without needing to read all of the comments and sift things out the hard way. Go to http://forumarchive.daz3d.com/viewtopic.php?t=109277&postdays=0&postorder=asc&start=0 to read about what you need to download. Ignore the part about licensing. Now you don't need a license to run 2 cores on your computer's processor. I asked for a license and didn't hear anything back. You might not need one for 4 cores. That I don't know, but it runs without getting anything beyond the program on my computer. This means Step 3 and Step 4 are not needed. I didn't need some of the other instructions either so I'll tell you what I have done. You need to put a check mark next to all of the items that have one in my image and you enter the filename by clicking the three dots/ellipsis. I suggest that you enter this information into the settings before loading your scene. Sometimes as Daz is wont to do it crashes trying to open a file list box--I hate when it does that while trying to save. As far as I know you can edit the other render settings after the scene is loaded. RIB is short for RenderMan Interface Bytestream, and that format outputs a number of files into a folder with your filename plus "_collected" wherever you told it to save to. 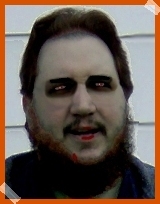 Now, I suggest something a little different from the forum post. Before you start make sure you know where the RIB was written to, and close Daz before beginning for more free memory. This is all of course after you installed your chosen flavour of 3Delight. Once you open the Command Prompt (sorry I only know the procedure for Windows) I suggest you navigate to the YourRenderName_collected folder and then continue. 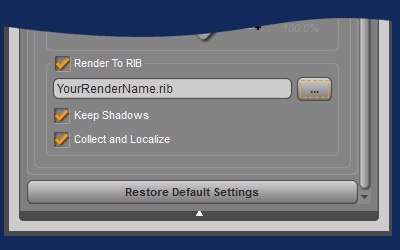 Here is the process for a saved RIB at "C:\Users\MyName\YourRenderName_collected". Type without quotes "cd documents"
Type without quotes "cd YourRenderName_collected"
Type without quotes "renderdl YourRenderName.rib"
The program will run in the Command Prompt window, not two different windows. Now, you still might have errors and your scene still might crash, but at that point it is a fault in the scene--like numbers outside of the set limits--or an inability in 3Delight. Scenes may take longer to render this way than usual and that is not counting the extra time to write the RIB file. There will be a second RIB file on its own in the "documents" folder, but I found running those confused the program after rendering a couple of them and I got a false error about license files that only went away after a computer reboot. In the alternative you can go straight to the RIB file in the _collected folder in Windows Explorer and run it. You might have to associate the RIB extension with renderdl, but I didn't have to. When you run the RIB this way two windows open. One of them shows the render in progress. The reason you may not want to do this is because if there are errors or a crash then you do not know what happened because the window showing the errors disappears when the rendering is done or terminated. Doing it all in the Command Prompt window allows you to copy out the errors and paste them somewhere. I have a scene that still not work using renderdl and I have to send the errors to 3Delight to see what they make of it. I hope this solves as many problems or more for you as it has for me. It does not appear that this external engine can render animations--a lot of people asked. I'll be back next time to talk about some more ways to render difficult scenes. Music: Out of the Silent Planet by Iron Maiden. Tags: 3Delight, Daz3D, fixes, problem, render, RenderMan, RIB. Here is a new quick render while I'm busy working on something for next time that I hope is really helpful. Music: Keeper Of The Seven Keys by Helloween.